A family of end tables/coffee tables with steel base in embossed black or orange fluo, or with a chromed finish. 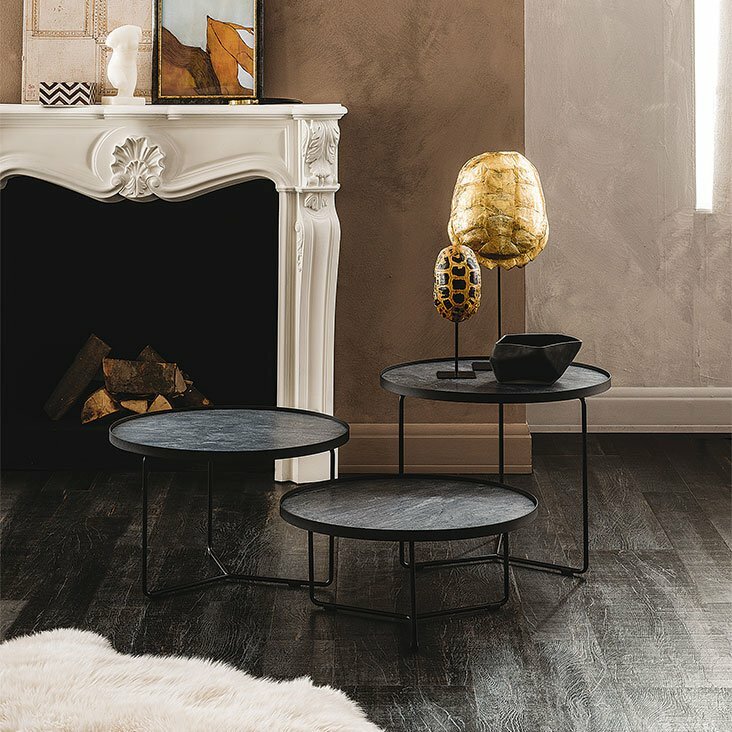 The ceramic top is available in various marble effect finishes. 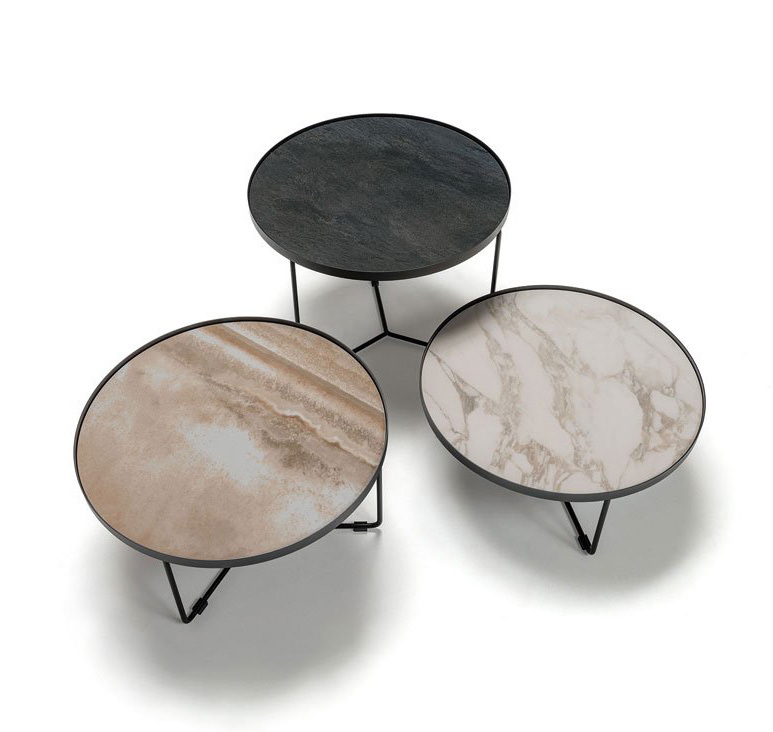 The three smaller sizes fit together as a nest of tables and can be purchased separately or as a trio.